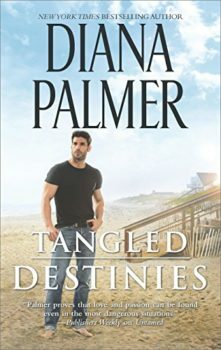 Passion and danger collide in a breathtaking story from New York Times bestselling author Diana Palmer. Saved from an abduction and unthinkable harm, Gabrielle Bennett owed her life to her rescuer. Marc Stephano, a stranger from the sketchy shadows of town, could’ve asked for money. Instead, he introduced her to desire and claimed her completely—then he broke her heart. Older, wiser and now a top New York model, Gabrielle is prepared for anything—except Marc’s reemergence into her life. It’s a merciless trick of fate. A successful, self-made millionaire, he’s as powerful as ever. And he wants her. Forgive and forget don’t apply when heartbreak is at stake. Yet the attraction between them refuses to back down. Originally published February 1986, writing as Diana Blayne, for Candlelight Ecstacy Supreme #110 in mass market paperback.